LG is rumored to be announcing a new flagship phone at IFA 2017 at the end of August, and it seems the LG V30 (which is the flagship we're expecting) may be ready to buy across the globe a month later. An LG source has shown Android Authority an internal document that claims the phone will launch in both the US and Europe on September 28. 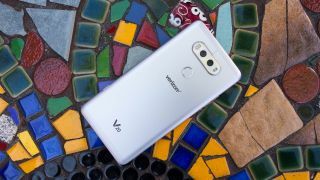 It's currently uncertain whether the V30 will come to the UK, but a European launch date does suggest the phone will see a release in the UK, unlike the LG V20. The document claims the V30 will launch in South Korea on September 15, while pre-orders for the phone will open in the US on September 17. There's no word of a UK pre-order date at the moment. LG's V30 is rumored to have a 6-inch edge-to-edge OLED display with very thin bezels, so it should be able to compete with the upcoming Samsung Galaxy Note 8. It may also come with the top-end Qualcomm Snapdragon 835 processor too. But we won't know any of these details for certain until August 31, when the phone is expected to launch at IFA 2017.